So, What Exactly Is A Personal Shopper? Since beginning my new job, I get asked on a daily basis what exactly it is that a personal shopper does. According to Wikipedia, a personal shopper is someone that helps others shop by giving advice and making suggestions. 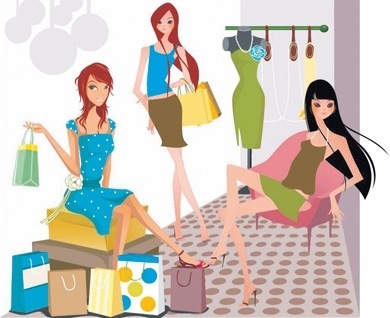 Personal shoppers are also known as fashion stylists. This is true, but let me tell you what it is I do (exactly). It all starts with a client. This could be someone I know or have met while on the sales-floor, but it can also be someone who has contacted the company specifically looking for a personal shopper. In the initial conversation, I find out what it is they are looking for (an outfit for an interview or wedding, a new wardrobe, professional dress-really, whatever they want and we sell), and ask specific questions so I have a clear vision. We set up an appointment time and I get to work. I pull pieces from the floor that I think the client will love and stage them in one of my fitting rooms. When the client arrives, we first go through the pulls and edit (take out anything he or she knows from a look won’t work for them) and then they start to try-on. I will run and get sizes, additional pieces, ect., and hopefully they will leave with the perfect purchase. A client can also book a time for me to actually shop with them. If a client doesn’t have time to come to the store, I can pull the items they want and send them directly to their home. And speaking of homes, I can show you how the latest accents and designs can transform a room (and even pick out furniture). Need a gift for a wedding, birthday, anniversary, or maybe even someone to do all your holiday shopping? I’m your girl. I’ll even gift wrap and send them to your house. And how about at the office? I offer complete corporate services as well. And it’s all FREE! Essentially, it’s all about you. What you like. What makes you feel good. Your colors. Your wardrobe needs. How to refresh your look. It’s all about offering fashion and accessory solutions custom-tailored to your style and your needs. Department stores can be overwhelming and a personal shopper can really streamline the experience and take the stress out of shopping. And as a client, you receive advance notice of sales and new merchandise, receive exclusive invitations to events, and receive complimentary gift-wrapping and shipping services. Sound good? If you think this is a service you’d be interested in, please contact me. I’d love to help you build the perfect wardrobe or make shopping enjoyable for you. Plus, it’s super fun!